Day 1 Arrive at Kuching Airport (airport code KCH) where you’ll be picked up and taken to a lovely Kuching guesthouse. Depending your arrival time, there may be chance to explore the small and friendly city or kick back and relax with a swim in the pool. In the evening you will enjoy a welcome dinner with your fellow volunteers and an orientation briefing with the project coordinator. Enrichment – Orangutans are one of the cleverest animals in the world and they constantly need new things to keep them stimulated. You’ll help create this enrichment, which will help to encourage their natural behaviour whilst they go through rehabilitation. Enrichment for the many animals at the centre is one of the most important jobs you will have, it is an essential task to maintain both mental and physical health. Husbandry - cleaning the enclosures, feeding and caring for the orangutan, sun bears and smaller primates. Leaf collection so that the Orangutans can build their nests is also crucial, so be prepared for some treks out into the jungle! Maintenance and Construction – you might help with building new enclosures, climbing structures or feeding platforms for orangutan, sun bears, clouded leopards or binturongs; or the creation of ponds for crocodiles. The rainforest is a harsh environment for any man-made structure and anything we build needs regular cleaning, painting and repairing to ensure that is does not rust or rot. You will help with general maintenance including fencing or clearing of invasive vegetation. Working with the Sun Bears – At the project site you will also be able to work with the resident Sun Bears. You’ll help with enrichment and general enclosure upkeep of one of the world’s rarest bear species! Organic Farming – Over the past few years volunteers have helped create an organic farm to help grow food for the animals, all in the name of long term sustainability. It should be noted that there is no physical contact with the orangutan at any time. Weekends For many people this will be a once in a lifetime trip to Borneo and volunteers generally take advantage of the weekends to explore the surrounding area. Kuching and many of the other Sarawak highlights are with an hour's drive - taxi services are inexpensive, especially when shared between a group. There is much to discover nearby – head into Kuching or choose from a wealth of nearby National Parks (Bako, Gunung Gading and Kubah), check out Damai Beach or Sarawak Cultural Village or grab a low cost flight and head to Sabah for the weekend. 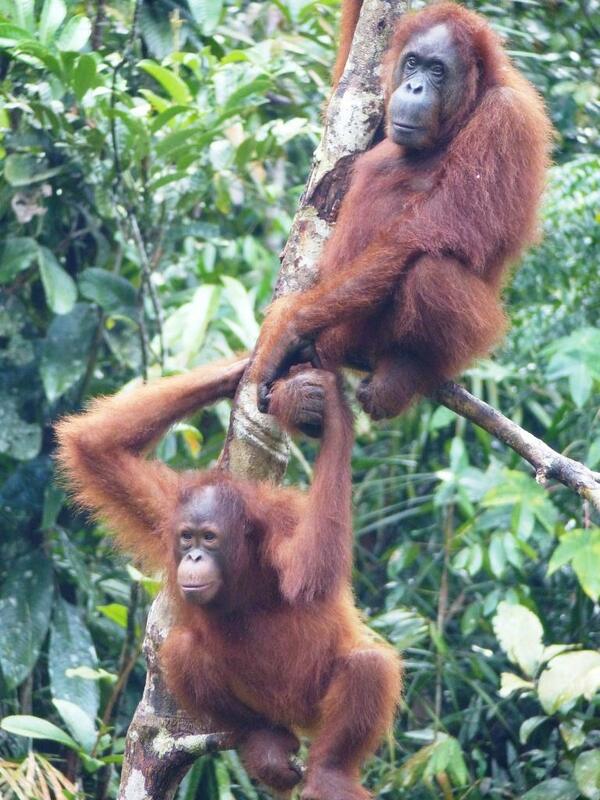 Included in your project is a trip to Semenggoh, Sarawak’s second orangutan rehabilitation centre. 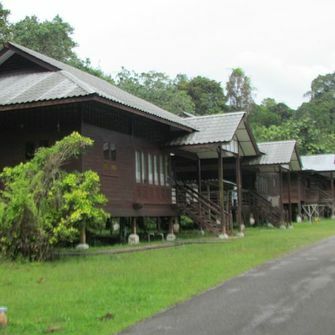 This centre was established in the 70s and has a small population of semi-wild orangutan. 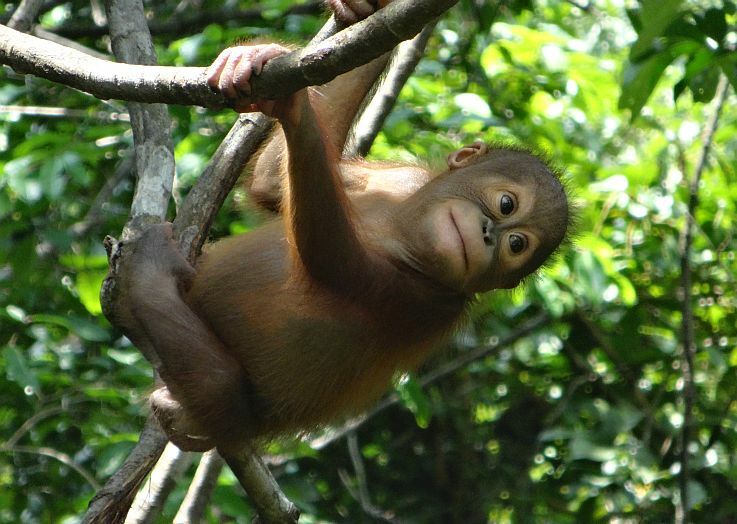 It is a good opportunity to see orangutan living in the trees and a chance to understand the relationship between tourism and the rehabilitation centres. Each volunteer house has a maximum four people in twin-share bedrooms, there is a communal living space, fan-cooling, a basic kitchen, toilet, cool shower and veranda. These wooden houses are original structures built in 1997, they are government owned and have undergone precious little maintenance over their years of wear and tear in the jungle. Please do not expect shiny, new and pristine lodgings – expect well-used jungle cabins and an authentic Bornean experience! Meals are self-catered and in the kitchen there are basic appliances such as a gas hob, fridge/freezer, kettle and toaster. You will receive a daily allowance for food and water and weekly supermarket trips are provided to stock up.